“On 30 August 1942 a German non-commissioned officer, Wilhelm Cornides, was in Rzeszow, on his way to Chelm by train. In his diary he recorded that a railway policeman had told him that 'a marble plaque with golden letters will be erected on 1 September, because then the city will be free of Jews'. 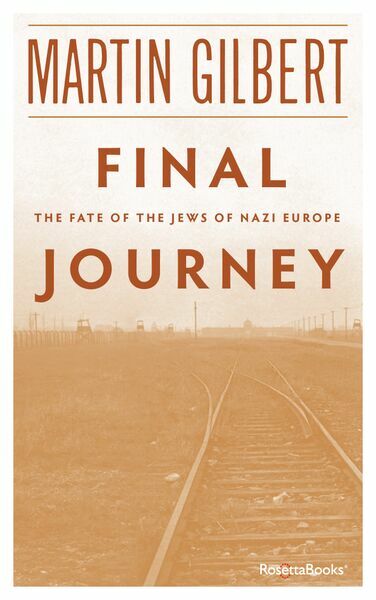 The policeman also told him 'that the trains filled with Jews that pass almost daily through the shunting yards, are dispatched immediately on their way, and return swept clean, most often the same evening'. Some 6,000 Jews from Jaroslaw, the policeman added, 'were recently killed in one day'. “... From Rawa Ruska, Cornides took the afternoon train to Chelm. The things he learned on this journey were so extraordinary that he made three separate entries in his diary within an hour, the first at 5.30 pm. “...'6.20 pm. We passed camp Belzec. Before then, we travelled for some time through a tall pine forest. When the woman called, “Now it comes”, one could see a high hedge of fir trees. “The stories told in these pages are based on eye-witness accounts and on contemporary evidence. Wherever possible, I have given the precise date of every document quoted and have cited the actual words used at the time, both by the Nazis and by their victims.